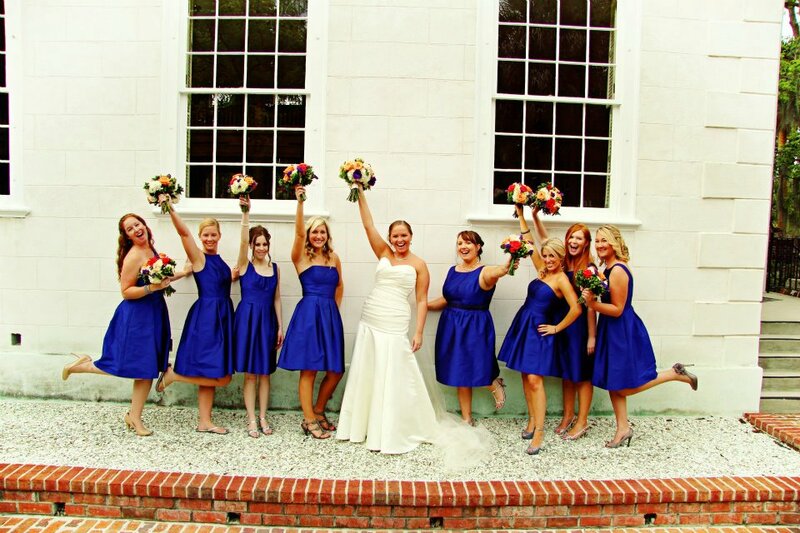 We love, love, love today's featured wedding. Lindsey has been a fan and awesome supporter of Clemson Girl for a long time. She's a big Clemson fan and represents Clemson Girls so well. Love her. 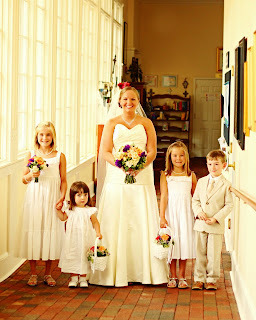 So when she emailed us recently and wanted to share her recent wedding, we were overjoyed! 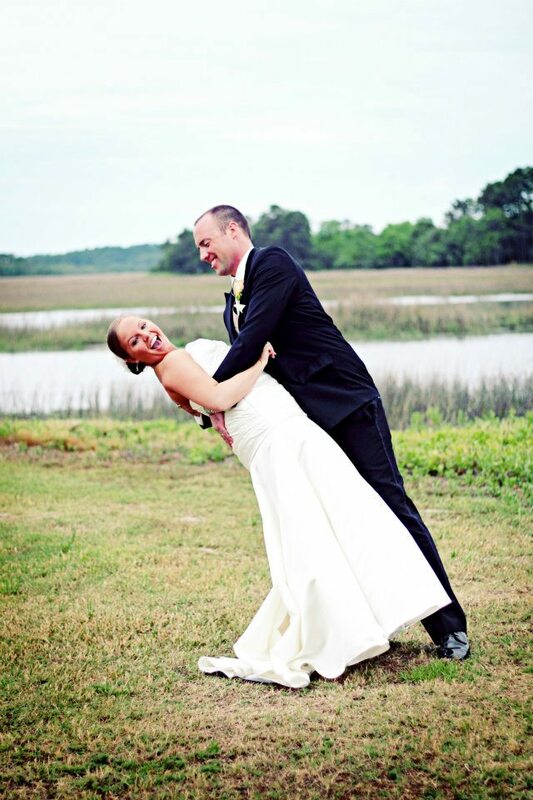 Her Clemson love story is so sweet. 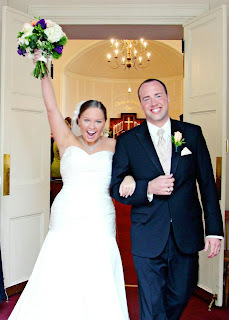 Lindsey and Lee met their freshman year at Clemson. They were both in the same small major, Packaging Science. Their Packaging Science class became really close friends over the years studying together and pulling all-nighters at Cooper Library. 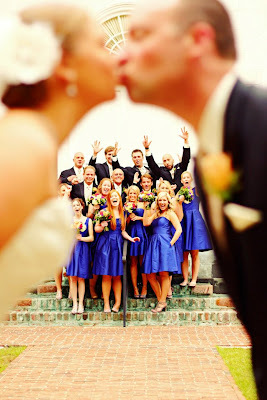 It was Lindsey's and Lee's senior year when they decided to become more than just friends and started dating. The two of them graduated in December 2007 right beside each other. Lee is actually in the background of Lindsey's graduation photo shaking President Barker's hand. Lee and Lindsey were heading out of town the Friday before the Clemson vs. Georgia Tech game back in October 2010. 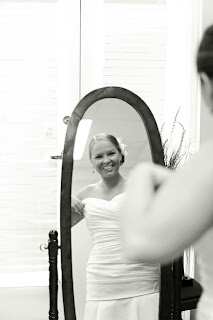 Lindsey was getting packed and ready, and the last thing she usually does before walking out the door is put on her Clemson class ring, which is in a special ring holder on her dresser. When Lindsey went to put on her Clemson ring, it wasn't there. Instead, a different ring was in its place -- a gorgeous, shiny engagement ring! Lindsey hesitantly yelled "Lee?!?" She went into the family room and there was Lee, down on one knee holding flowers. 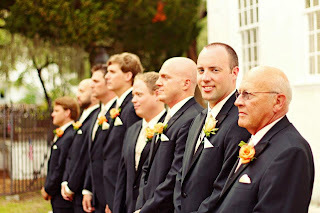 Lindsey started crying and nodded her head before Lee could really get any words out. Lee was also playing Jagged Edge "Let's get Married Remix" in the background. Linsey suggests you look up the song on YouTube so you can get a better idea of what she was experiencing. They went together to work that morning. Lee had it planned that they would leave for Clemson at lunch time. Their manager had a "Congratulations" cake and a bottle of champagne for them. They left for Clemson, met up with close college and high school friends, and Clemson ended up beating Georgia Tech...it was a perfect weekend! Lindsey and her new husband Lee were married on April 21, 2012 in Beaufort, SC. 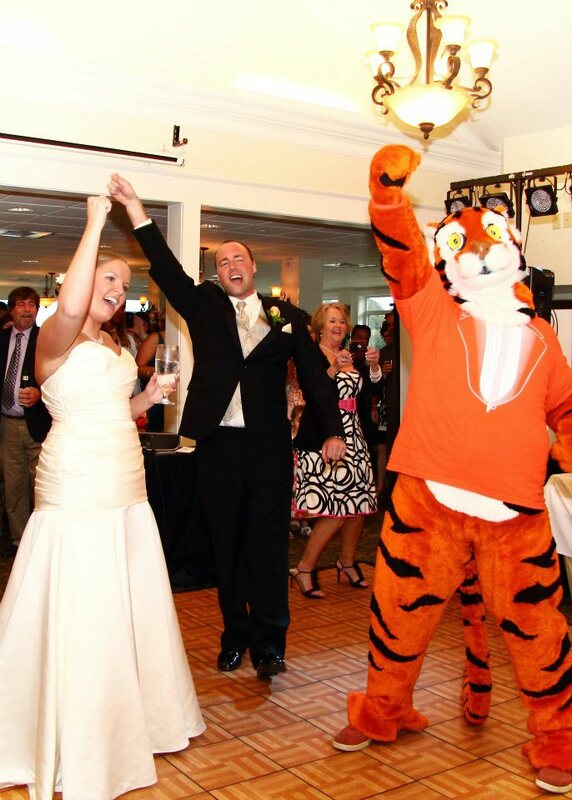 Lindsey knew she wanted a Clemson-esque wedding since Clemson played a huge role in their relationship. They would have never met each other if it weren't for Clemson. 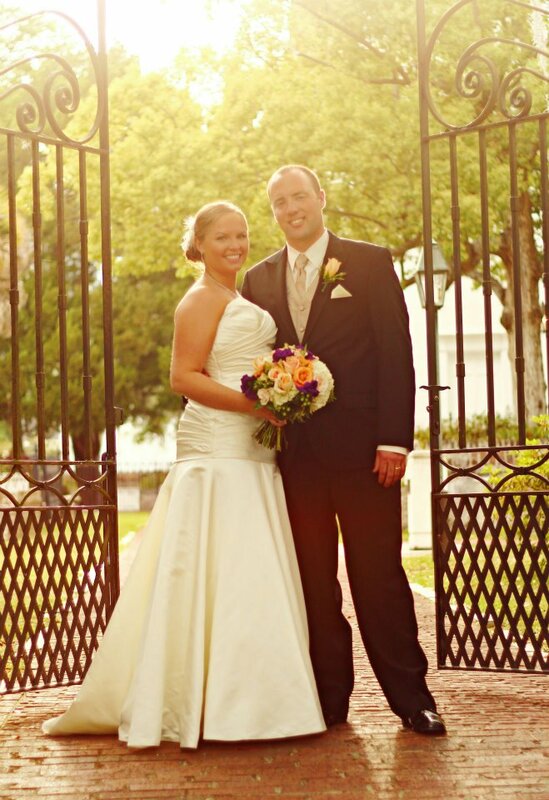 The couple also share a huge passion for their alma mater, especially football. 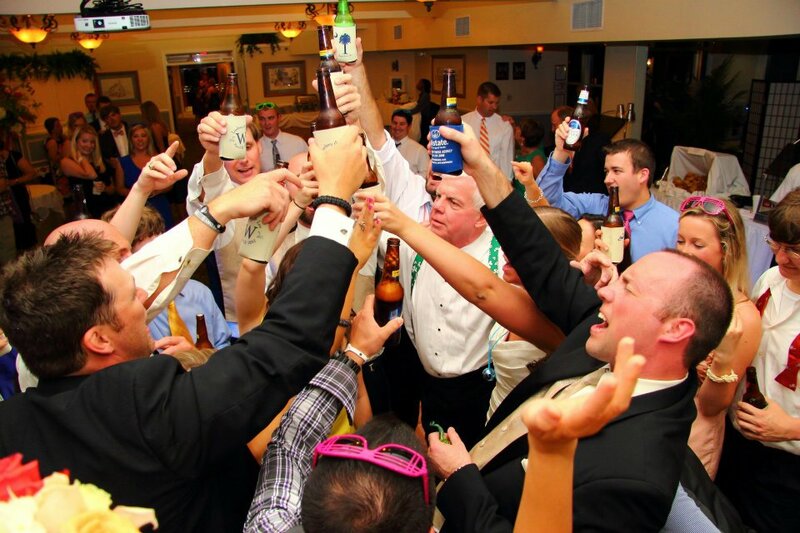 It is something they bond over whether or not they are at the game sitting in the stands, watching with their local alumni group, or glued to the TV in the comfort of their own home. 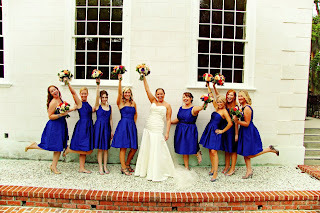 However, Lindsey didn't want the wedding to be too over the top Clemson because she didn't want their non-Clemson friends to feel left out or "make faces of displeasure during the wedding, ha ha". 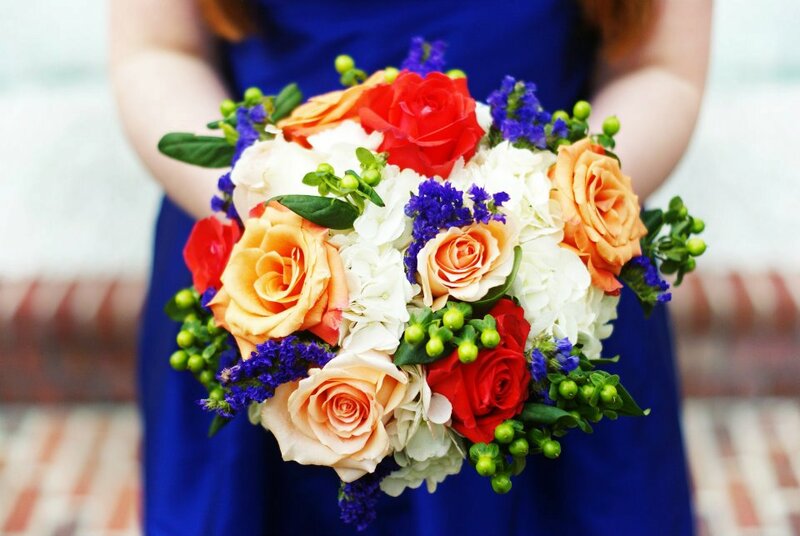 Instead of having orange and purple as the official wedding colors, they used electric blue and coral/peach. Lindsey felt these colors would be Clemson inspired without being too over the top. Lindsey wanted a little purple and orange in the wedding though. All of the flowers, including bride and bridesmaids' bouquets, groomsmen boutineers, and reception decorations, included orange and purple flowers. 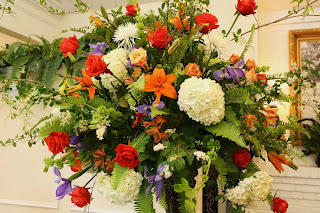 The flowers were all done by family and family friends. 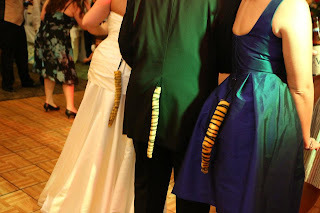 At the reception, the couple gave out party props to get the party started - fun hats, fun glasses and tiger tails! 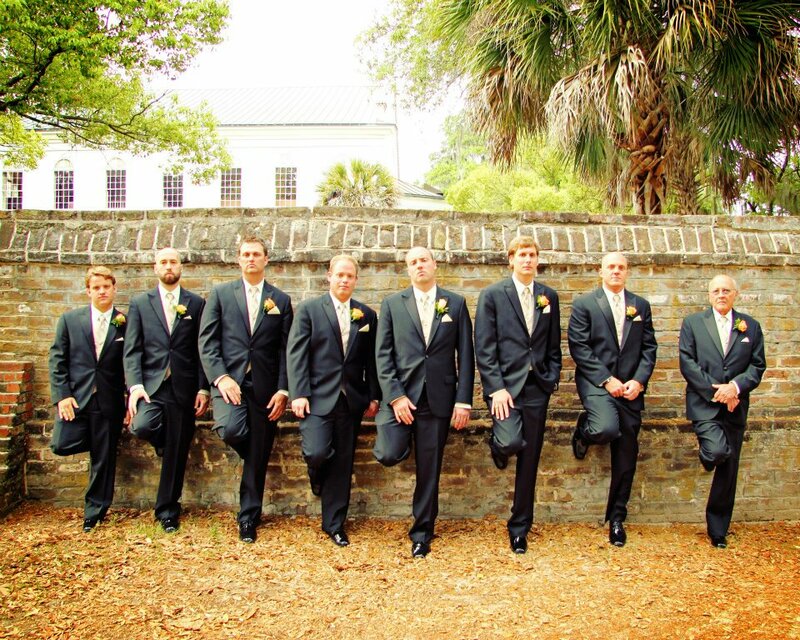 Somewhere in between the church and the reception, Lindsey lost her Clemson garter. 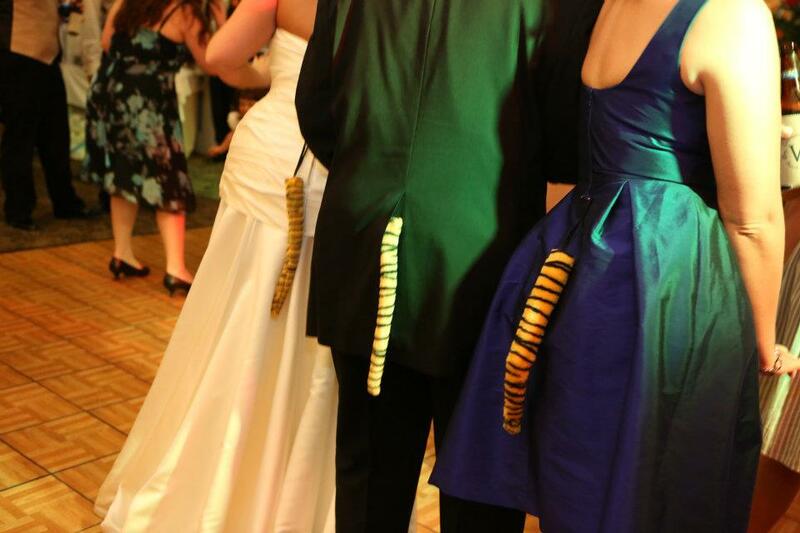 She improvised and made a garter out of a tiger tail. That may be the first time that has ever been done at a wedding and is actualy a really cute idea! 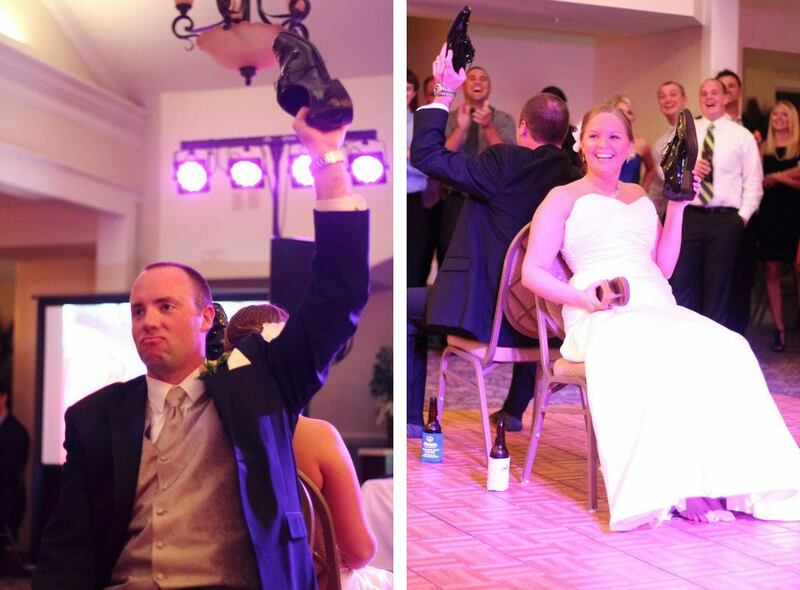 They served "Tigertinis" as the signature wedding drink. It was an orangish concoction that Lindsey was introduced to by Firefly Vodka on Twitter. She "tweeted" them (@fireflyvodka) asking their advice on a tasty, orange colored drink. They responded with a recipe that was delicious. It was Peach Tea Firefly vodka mixed with orange juice and cranberry juice (we might have to feature this drink in a future Happy Hour post...Yum!). 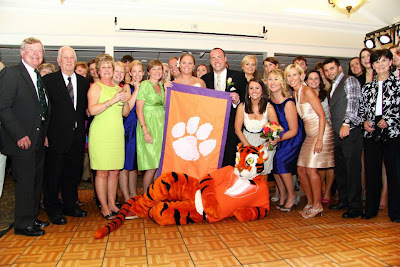 The couple also had a surprise visitor come all the way down from Clemson to Beaufort, SC...the Tiger! 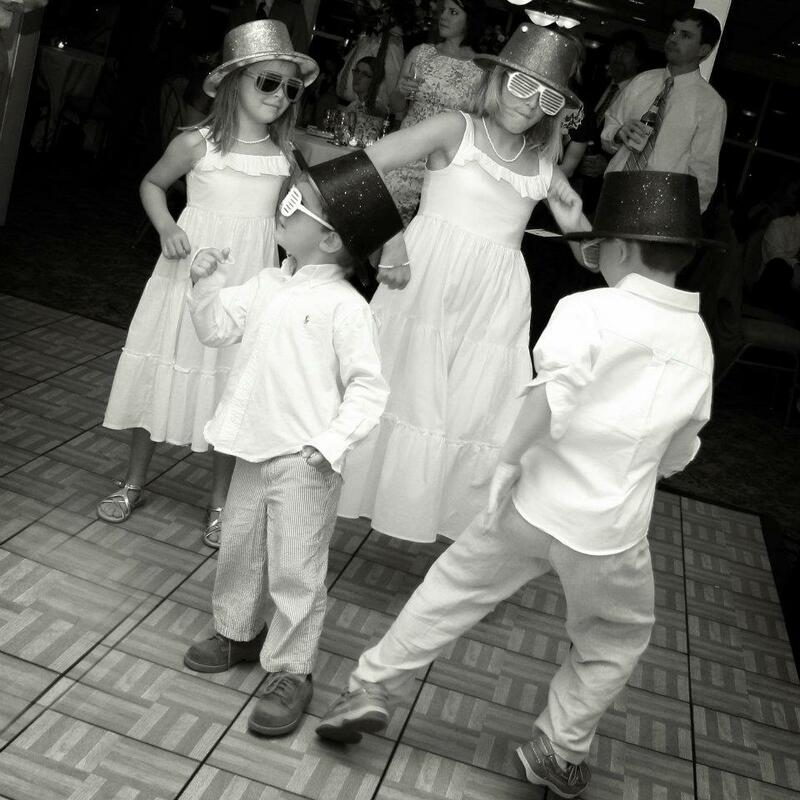 He danced into the reception hall to Tiger Rag. All the Clemson alums chanted the Cadance Count and posed together for a picture with the Tiger. He stuck around and danced with the crowd and posed for more pictures. It was an unexpected, fun surprise. "I'm sure we have all heard the saying 'Don't sweat the little things, and don't pet the sweaty things.' Well...it's very true. 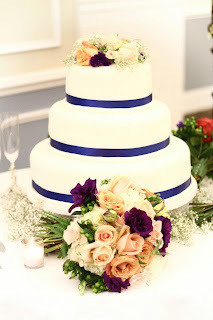 If you let all the little things bother you, then you are in for a very, very long engagement and wedding planning. Also, we were on somewhat of a budget and tried to save money where we could. 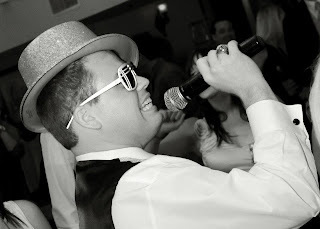 Our biggest regret was not getting a videographer. Although we have gorgeous pictures that were captured on our special day, we won't ever be able to bring back the cheers and screams from when the Tiger came running in....or one of our groomsmen taking the microphone and singing 'Baby got Back'. Well...that was recorded on a cell phone and is now on YouTube, but we could have gotten an HD version with a videographer, ha ha. Oh and one more thing...EAT! You spend all this time, effort, and money picking a menu so you deserve to eat the food! I didn't eat a thing and was so sad after it was over and people were telling me how good the food was." 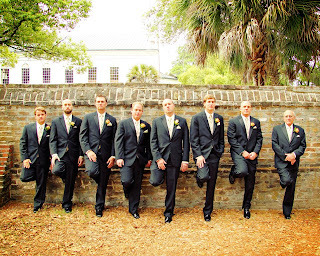 All of Lindsey's wedding photos were taken by the talented Shane Clevenger Photography. He is a friend of the couples and a fellow Clemson fan. Special thanks to Lindsey for sharing her special day with us. 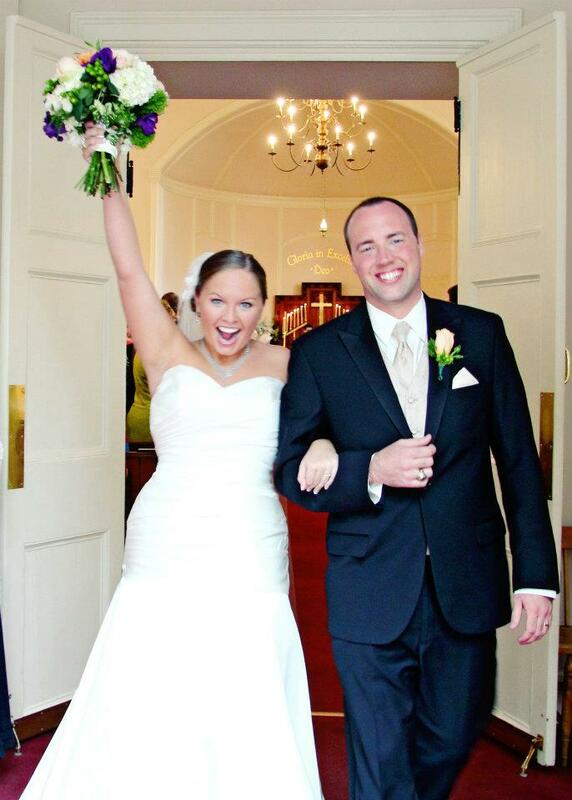 We love when Clemson brings together couples - we're such suckers for a great Clemson love story. All of the details and stories from their wedding make us wish we had been there - it sounds like it was so much fun. 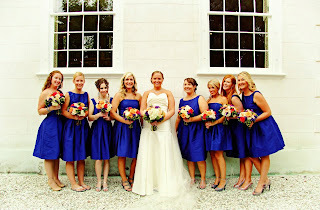 Best wishes to Lindsey & Lee! 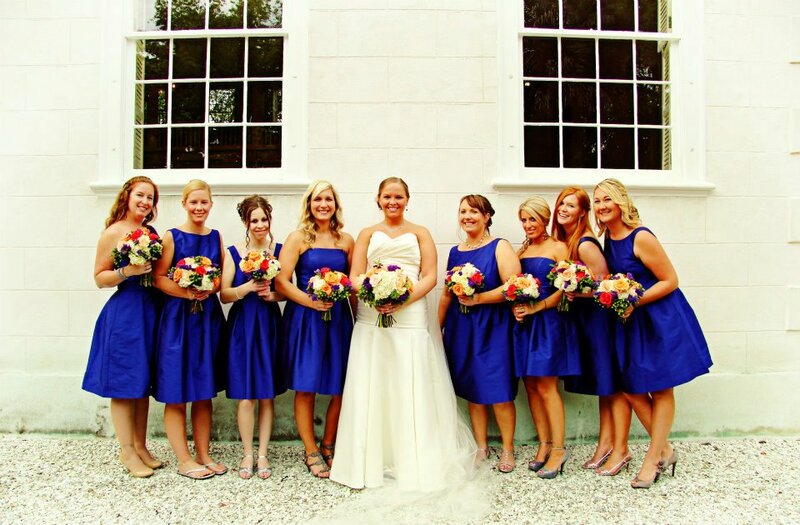 Where were the bridesmaid dresses from!? God bless you guys. And I hope to end up through the same path. Clemson tigers and tigresses are meant to be together.